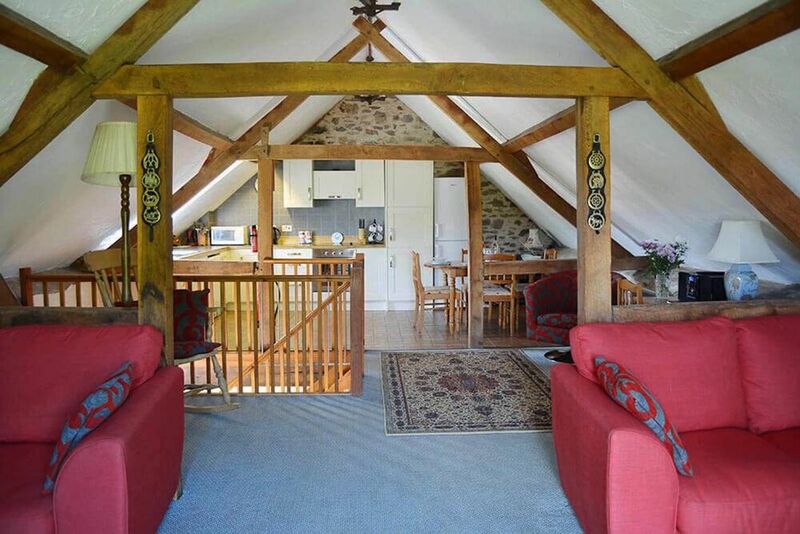 A delightful stone barn conversion on a quiet farm in the beautiful Exmoor National Park. The cottage, rated 4 stars by the AA, boasts charming original features including exposed stone walls and scissor-beamed ceilings. Private large patio sitting area and shared use of a children’s activity play area and large enclosed lawned garden. Flexible accommodation with two ground floor bedrooms, one of which can be either a twin or double to suit your party. The farm's great eco credentials include solar energy as the primary source of water heating, a wind turbine and micro-bore electric generation via the privately owned, spring-fed streams and river. Brilliant in all seasons and the ideal setting for Autumn and Winter breaks. The barn is warm and cosy with a wood burning stove and comfortable beds. 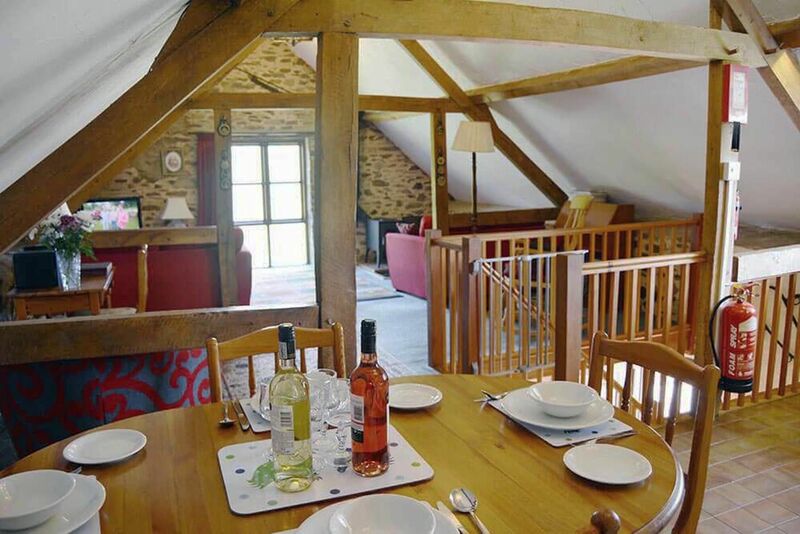 The three other holiday cottages at West Hollowcombe Farm, Smiddy Cottage (sleeps 4), Jasper Cottage (sleeps 4) and Kiri Cottage (sleeps 6), can be booked with Norton Cottage to create a large property for family get-togethers or groups of friends of up to 18 people. Cottages may be taken individually or in any combination. Should you wish to bring your horse on holiday with you on a DIY livery basis, there are four large stables, two pony stables, tack room and large paddock with direct access to Exmoor. There are outstanding walks straight from the front door including the Two Moors Way, as well as sixty acres of the owner’s fields and woodlands, part of which has been designated a Site of Special Scientific Interest with an abundance of wildlife. Perfectly located for exploring stunning Exmoor National Park and the North Devon coast, plus a wealth of outdoor activities including riding, fishing and birdwatching. Within easy reach of the beautiful beaches of Instow, Saunton Sands, Westward Ho!, Woolacombe Sands and Croyde Bay. Just 10 minutes’ drive from Dulverton, a lively village with specialist shops selling local farm produce, antiques and gifts, character pubs and home to the Exmoor National Park visitor centre. 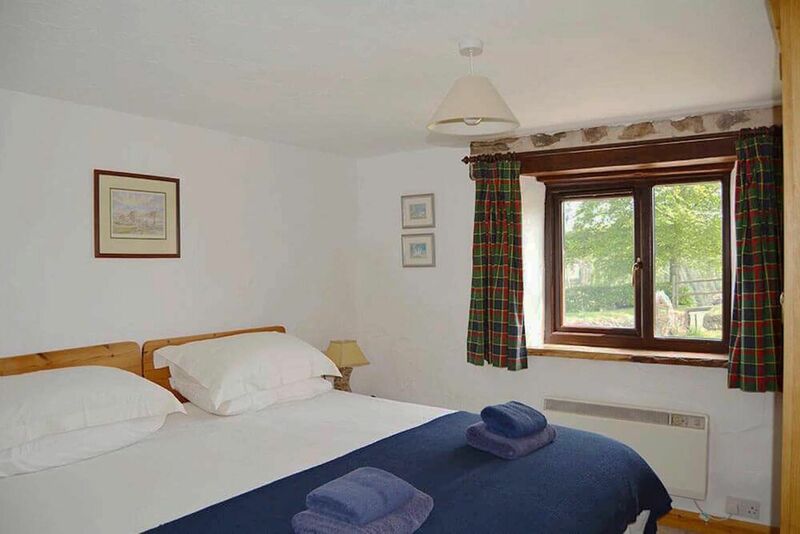 Double bedroom with 5′ king size bed and en suite bathroom with bath and separate shower. Twin bedroom with 3′ zip and link beds, which can be converted to a 6′ double on request, and en suite bathroom. Spacious open plan living space with scissor-beamed ceilings and superb views. Comprises a sitting area with a wood burning stove, a reading area and a dining kitchen area. Communal utility room with coin operated washing machine and tumble dryer. Norton Cottage is a delightful 'upside down' stone barn conversion with plenty of room for four plus pooch! 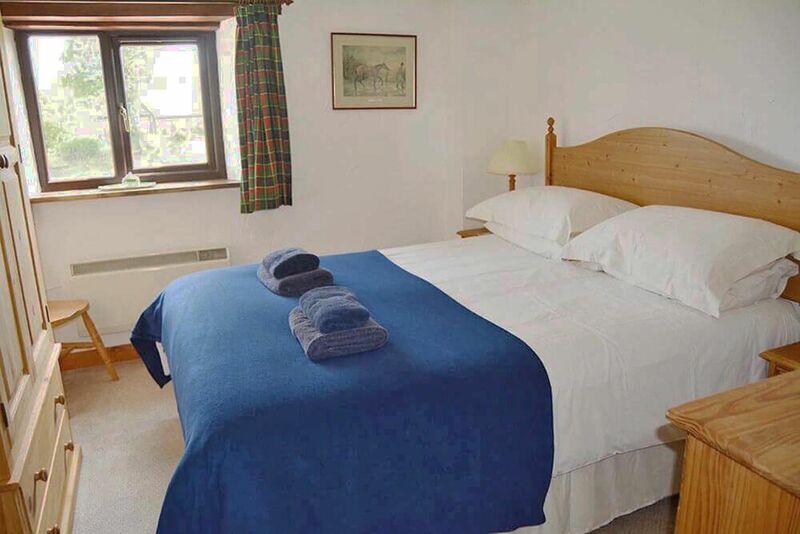 Located in the glorious surroundings of Exmoor National Park on the Devon/Somerset border, it's just five miles from Dulverton and within easy reach of the coastal towns of Porlock, Lynton and Lynmouth. Our lovingly restored cottage is situated on West Hollowcombe Farm with three other character holiday cottages. 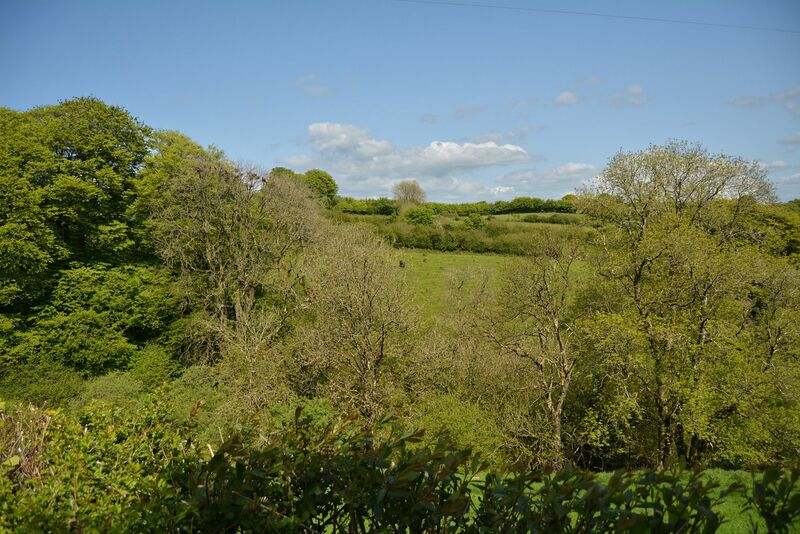 You have shared access to sixty acres of the owner’s fields and woodlands, part of which has been designated a Site of Special Scientific Interest. The friendly owners live on site and guarantee a very warm welcome! Mini guests are well looked after with shared use of a well-established adventure playground as well as selection of ride-on toys. The cottage also offers a choice of books and games, as well as useful baby and toddler gear including cots and highchairs. This charming Exmoor cottage has upside down living accommodation, with an open plan living space on the first floor to take in the superb views over the open countryside. This spacious area has an airy feel with scissor beamed ceilings, and comprises a sitting area with valley and woodland views and a dining kitchen with views across the front lawned area and moorland beyond. With the added benefit of a warming wood burning stove in the sitting area, perfect for cooler evenings, Norton Cottage provides a very comfortable holiday home. Downstairs are two well-presented en suite bedrooms comprising a king size double and a twin/double bedroom. We can also provide a travel cot, highchair and stairgate if you have a little one in tow, although cot linen is not provided. Outside, your private patio is a delightful spot to sit and relax at any time of day and you have shared use of a well-established adventure playground and lawned garden. Well-behaved dogs, other pets and horses are welcome, the latter being accommodated on a DIY livery basis. Norton Cottage is a perfect base for exploring Exmoor, with easy access to its superb footpaths, bridleways and dramatic scenery. Or simply relax amongst magnificent views and wildlife and enjoy the absolute peace and quiet! A wide variety of moorland birds and mammals such as hares and rabbits, stoats and weasels, to say nothing of red deer, are regular visitors. Additionally Exmoor ponies are often to be seen grazing on adjoining common land. The Two Moors Way passes the gate and, for the energetic, numerous other walks are accessible directly from the cottage. Dogs and horses are welcome, the latter being accommodated on a DIY livery basis. A host of other country pursuits within easy reach include watersports, fishing, pony trekking, shooting, bird watching and mountain biking. 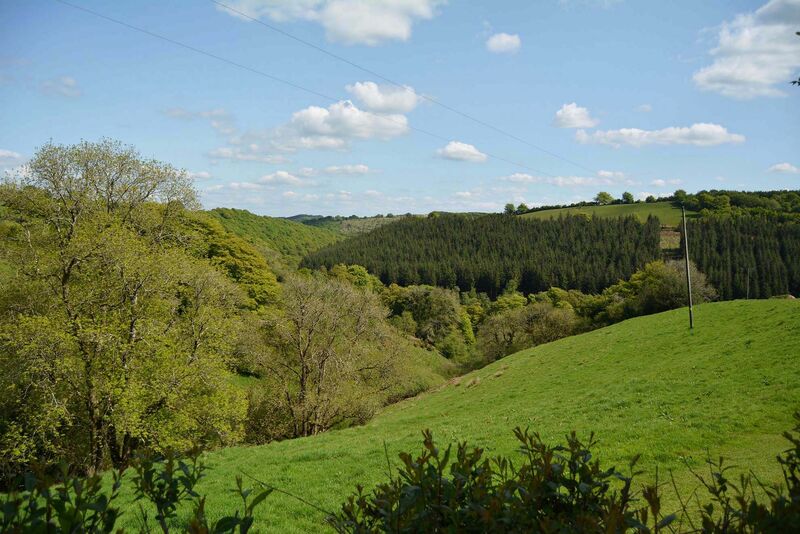 The owners are very keen on the environment and help to manage the SSSI area of marsh and woodlands in their grounds with the help of Exmoor National Park. The marsh land next to the river, which has not been cultivated for hundreds of years, makes an ideal spot for many rare plants and wildlife, especially the Heath Fritillary, one of the rarest butterflies in this country. The SSSI extends off into the woodlands and the owners are sympathetically managing this to promote its flora and fauna, with rare lichens on some of the older trees and fallen trunks providing great homes for all sorts of creatures. Norton Cottage is an ideal base to explore the North Devon coast and its picturesque villages including Porlock, Lynton and Lynmouth. Dulverton, considered to be the southern gateway to Exmoor, is 10 minutes’ drive away. This pretty town is well stocked with quality boutiques, grocery shops, inns and restaurants as well as the Exmoor National Park visitor centre. The other three holiday cottages at West Hollowcombe Farm, are Smiddy Cottage (sleeps 4), Jasper Cottage (sleeps 4) and Kiri Cottage (sleeps 6). All four cottages can be booked together for larger groups to accommodate up to 18. Please see the individual properties for more details. Norton Cottage is a fabulous holiday destination for anyone who enjoys outdoor activities, dramatic landscapes and wildlife. 2019-04-22 C Stanca, London "We had a great time here. The place was clean and the host is such a lovely and friendly person. We were 4 adults and stayed in the Norton cottage which offered more than enough space. The upstairs is open plan and the log burner made the cottage very cosy. The outdoor space is great and well maintained. This is in a remote place so a car is essential (shops and restaurants are in Dulverton which is about 4-5 miles). There is no reception in the area but there is internet at the property. Highly recommend this place if you want a break from busy city life or enjoy outdoor activities and wildlife." 2018-11-25 Gillian Taylor, Truro "Great location to explore surrounding area. Ample accommodation for 4 of us plus the dog....the open plan rooms upstairs and large hall area made it easy living.....particularly in wet and muddy weather! Kitchen pretty well stocked....we would have benefited from one larger casserole or pan. Use of oven would have been easier with written instructions? Charles was very friendly and helpful....and the scones on arrival were a welcome touch!" 2018-10-29 Thomas Atherton, Frome "What a lovely place to stay! Cosy barn conversation in the most beautiful countryside." 2018-06-29 Lynda & David K, London "Very well appointed cottage in lovely grounds with good walks from the door and some excellent local pubs. Very warm welcome from owners who live on a separate house on site and rescued us when we realised we had left all our bread behind. Having ground floor bedrooms meant we stayed comfortable even at the height of the heatwave. Having 2 shower/bathrooms was a real bonus, there was even a third loo. Would thoroughly recommend." Do you dream of riding out in wide open spaces or exploring woodlands and riverbanks? Exmoor is the place for you and your horse! 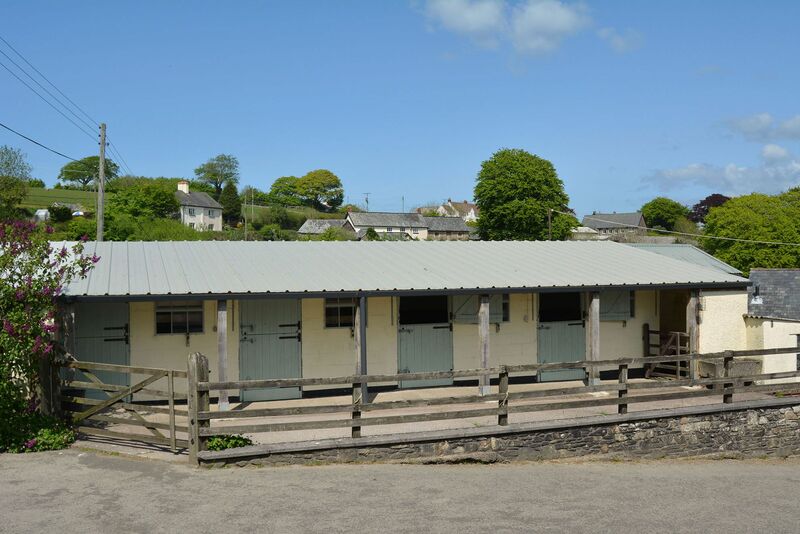 West Hollowcombe Farm has four large stables and two pony stables should you wish to bring your horse on holiday with you. The tack room is at your disposal and the owners provide a water bucket for each stable as well as one bale of dust extracted woodchips. However, as it is on a DIY basis, you do the mucking out yourselves. There is also a large paddock on site for them to run around in. They will have wonderful views and can watch the Exmoor ponies on the moor opposite. You can ride out onto the moor from the farm gate. Exmoor has over 625 miles of footpaths and bridleways so you can explore in all directions. You can ride directly from the stables onto the moor only using the lanes occasionally. Alternatively you can arrange riding for yourself at the local stables. 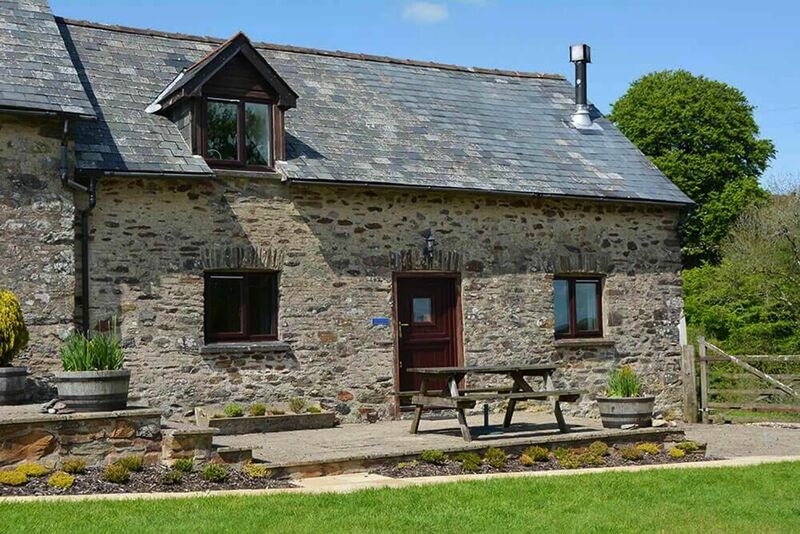 West Hollowcombe Farm is situated in the village of Hawkridge, just north-west of the picturesque town of Dulverton, on the Two Moors Way. 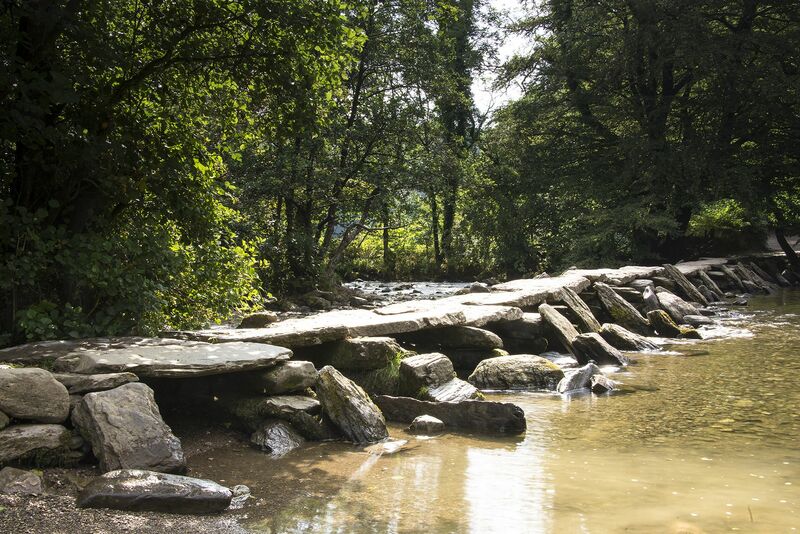 The famous Tarr Steps is only 1.75 miles and you can also walk to Dulverton or Withypool or simply take a circular walk around the farm estate along Danes Brook, through West Hollowcombe Woods and back through the village. 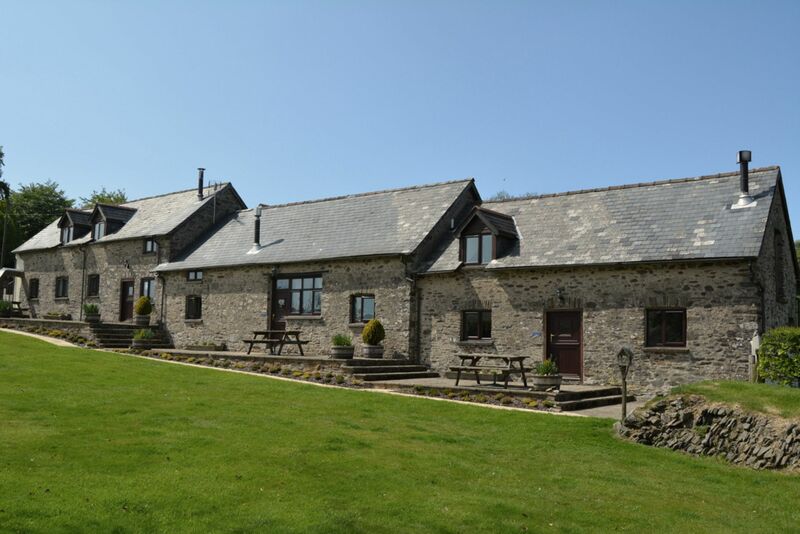 Tarr Farm Inn, TA22 9PY (1.7 miles) – 16th century inn above the River Barle’s medieval clapper bridge with good food using local produce, children and dogs are welcome. Withypool Tea Room, Withypool (3.7 miles). Hinam Farm Tea Room, near Dulverton (4 miles). The Sportmans Inn, Sandy Way (5.3 miles). Woods Bar & Restaurant, Dulverton (5 miles). The Bridge Inn, Dulverton (5 miles). The Exmoor White Horse Inn, Exford (6 miles). The London Inn, Molland (6 miles). The Royal Oak, Winsford (7.5 miles). The Masons Arms, Knowstone (9 miles) – Michelin starred restaurant. 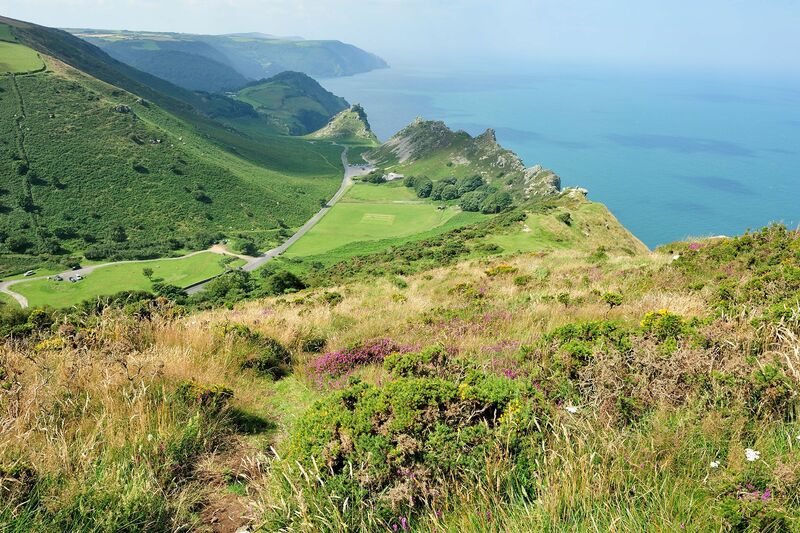 Exmoor National Park is the smallest of the National Parks covering around 267 square miles of stunningly beautiful scenery and wonderful views. There are over 625 miles of footpaths and bridleways. It is possible to ride, cycle, walk or even run all day only touching the roads to cross them. The highest point at 1704 feet (Dunkery Beacon) enjoys wonderful panoramic views over the moor, the Quantocks and across the Bristol Channel to Wales. Uniquely there are thirty-four miles of coastline within the park; it has the highest cliffs and the longest stretch of coastal woodland in England. The North Devon section of the South West Coast Path passes through the remote coast of North Exmoor, through Combe Martin and the popular resort of Ilfracombe. Popular walks include the coastal path from Lynmouth to Watersmeet. 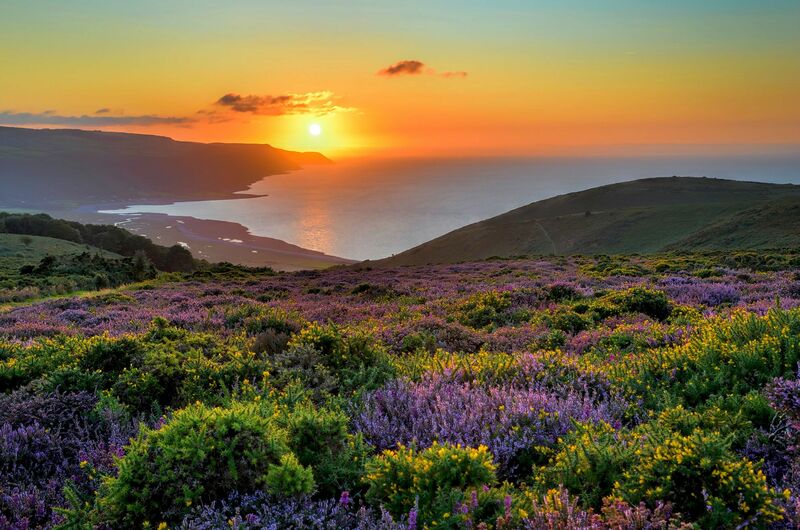 Exmoor is characterized by steep wooded combes and a very varied landscape that changes with the seasons. No matter when you visit it is not possible to be unmoved by its spectacular beauty. In the autumn the moor is covered in heather and you may even be lucky enough to find the local delicacy of whortleberries. The moor is dotted with wild Exmoor Ponies, the Heath Fritillary as well as the largest herd of wild Red Deer in the country. This is Lorna Doone country – visit the church and village of Oare and the valley from where the dreaded Doones terrorized the neighbourhood. 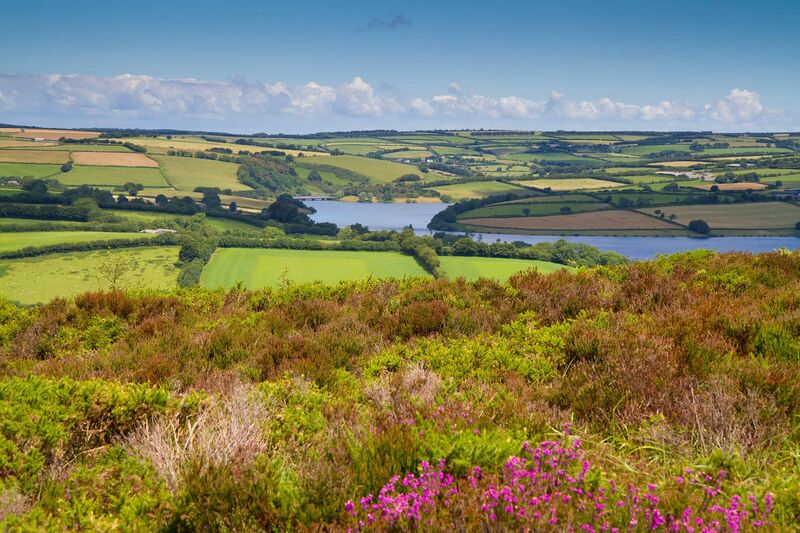 The area of southern Exmoor is renowned for excellent walking, fishing and horse riding and you can even take an organised off-road trip by Land Rover around Exmoor to see red deer, rare birds and Exmoor ponies. The National Trust has a number of interests in and around the park, notably Knightshayes, Arlington Court, Dunster Castle and Lundy. You can take a boat trip to Lundy Island, spend the day walking around this spectacular National Trust Island watching the seabirds, and even perhaps spot the basking sharks and puffins. Just as spectacular is the Valley of the Rocks and Watersmeet, just off Lynmouth and Lynton. The large towns forming a triangle around Exmoor are Minehead, Barnstaple and Taunton. Within the Park there are a number of small towns and many villages; some of the best known being Dunster, with its lovely castle and grounds overlooking Minehead, Porlock, Selworthy, Allerford, Bossington and Exford. DULVERTON (5 miles) is the southern gateway to the Exmoor National Park, a small town standing between the rivers Barle and Exe, which meet further down the valley. Dulverton has some quaint narrow streets weaving between fine Victorian buildings and a three arched bridge crossing the river leading to riverside walks. There are plenty of shops, restaurants and pubs in Dulverton and in the square is the Exmoor National Park visitor centre and art gallery, offering plenty of inspiration for exploring the vast expanse of the moor on foot, on horseback or from behind the wheel. PORLOCK (14.5 miles) is a quaint village with plenty of gift shops along with pubs, cafes and restaurants. The picturesque harbour of Porlock Weir offers wonderful views across the Bristol Channel. Porlock offers the choice of sea fishing from the weir. TIVERTON market town (17 miles) is famed for its Heathcote lace. One of the principal attractions is Tiverton Castle, a beautiful habited property dating from the twelfth century revealing a number of contrasting architectural styles and some delightful gardens, including a romantic walled garden and kitchen garden. DUNSTER (17.5 miles) is a medieval village with many old buildings and winding cobbled streets. The whole village is dominated by the Dunster Castle on its hill and the focal point of the High Street is the picturesque Yarn Market, a covered area built in 1609. Dunster is well served with traditional inns, individual shops and interesting places to explore including the working 18th century watermill. 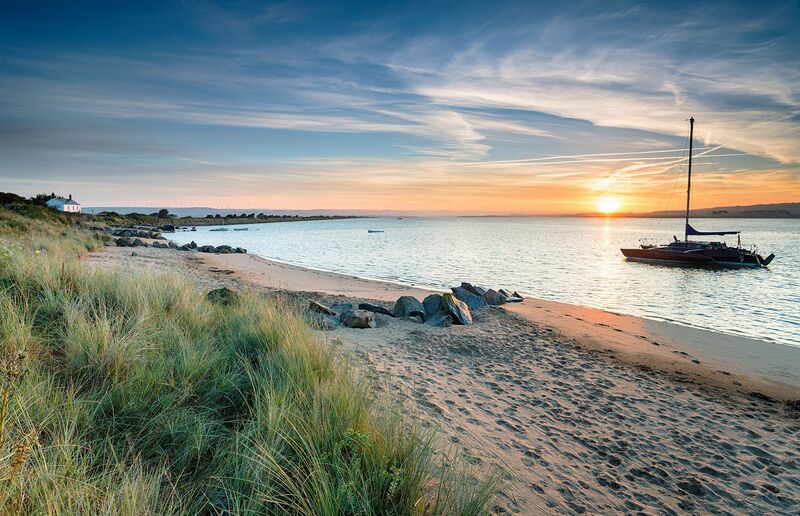 MINEHEAD (18 miles) has golden sandy beaches, a pretty harbour and plenty of cafes, shops and bistros. Enjoy a nostalgic steam train journey from the seafront on the West Somerset Railway, or visit Blenheim Gardens, winner of many awards for its beautiful floral displays. 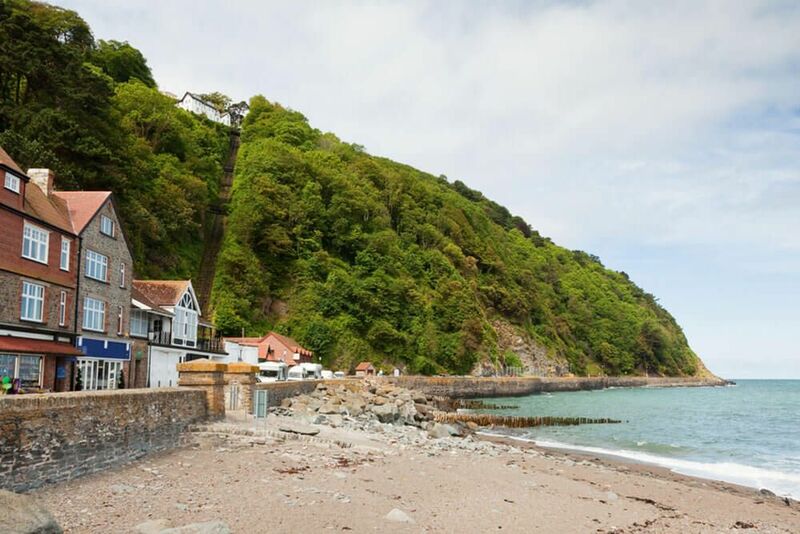 LYNTON & LYNMOUTH (19 miles) in the Exmoor National Park are connected by a fascinating Cliff Railway, with fabulous walks to Watersmeet and the stunning coastline at the Valley of the Rocks. BICKLEIGH (21 miles) is one of Devon’s most photographed villages with its thatched cottages, lovingly tended gardens and beautiful riverside setting. Bickleigh Mill offers a rural retail experience. Here you will find shopping opportunities, craft centre, farm shop, restaurant, coffee shop and waterside tea garden together with picnic areas and trout lakes. Nearby, Bickleigh Castle was once a Royal stronghold and boasts a picturesque moated garden, armoury, ancient chapel and much more. Yearlstone Vineyard is another popular attraction, where the silty clay loam and naturally protected slopes provide ideal conditions for grapes to thrive. The vineyard now has a shop and a café overlooking the river Exe, ideal for those yearning to learn more about wine production right here in the UK. BARNSTAPLE (22 miles) is a lively traditional coastal town with a pannier market, shops, restaurants and bars, along with two fabulous sandy beaches, which are popular with surfers and families. Barnstaple is also home to a multi-screen cinema, the Queen’s Theatre, leisure and tennis centre and a bowling alley. The town is renowned for its floral displays having won a Britain in Bloom award and flowers are found around every corner of the town in the most unusual places. Barnstaple lies at the end of the magnificent Tarka Line railway, which takes you through the spectacular North Devon countryside of wooded river valleys, rugged moorland and a stretch of coastline. GREAT TORRINGTON (27.5 miles) is an unspoilt town built on high ground above the River Torridge. A leading tourist attraction is Dartington Crystal where visitors can see craftsmen blowing and shaping glass, follow the history of glassmaking and buy some beautiful pieces. The town has a good selection of individual shops, a friendly atmosphere, and some good inns. About a mile from Great Torrington is the spectacular RHS garden at Rosemoor, splendid with colourful roses in summer and in a breathtaking setting by the River Torridge. BIDEFORD (31 miles) is a quaint town with various shops, restaurants and galleries. Running alongside the river, the town has a lovely country feel. Attractions include the quirky shops, pannier market and the Tarka Trail pedestrian and cycle way. Take a boat trip to Lundy Island, a unique and unspoilt island, undisturbed by cars, and home to a fascinating array of wildlife amidst dramatic scenery: deer, seals, ponies, dolphins and rare birds. On the edge of Bideford is the Atlantic Village, a large shopping outlet housing more than 30 retailers. ILFRACOMBE (31 miles) is a beautiful Victorian seaside town, home to artist Damien Hirst and his statue ‘Verity,’ which stands proudly above the pretty harbour. Fresh seafood can be enjoyed in several of the restaurants and tea rooms, and there are lovely galleries and shops to peruse. Attractions include Ilfracombe Aquarium. From Ilfracombe Pier you can set sail for Lundy Island. Tunnels Beaches are a network of beautiful sheltered beaches and tidal Victorian bathing pool accessed via four tunnels hand carved in the 1820’s. Located alongside the blue flag beach is a café. 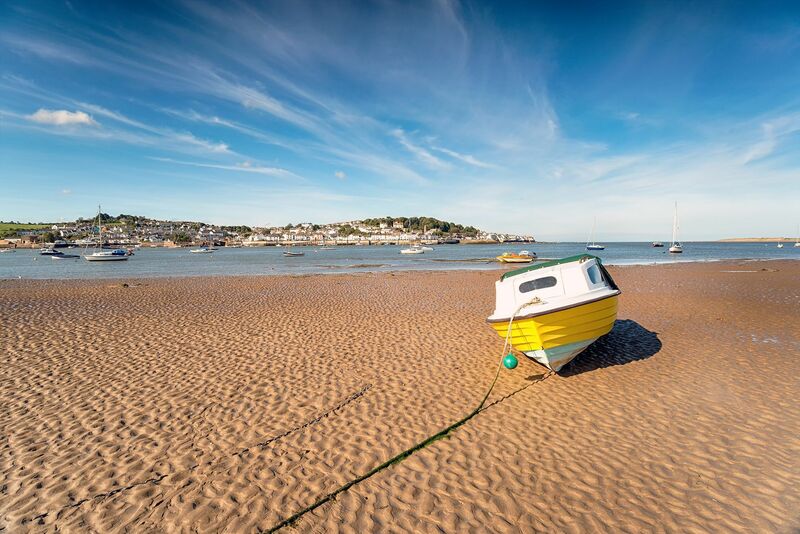 APPLEDORE (32 miles) is a quaint fishing village whose only connection to the mainland is a wonderful peninsular surrounded by salt marshes, which are part of a world biosphere site, and a stunning coastline. Home to shipbuilders and Hocking’s ice cream, which is only sold in North Devon, there are Ferry links to Instow. Attractions include The North Devon Maritime Museum & Victorian Schoolroom. CLOVELLY (42 miles) is set into a steep hillside that drops more than 400ft down to Clovelly Pier. One of the most famous villages in the world, the car-free cobbled streets have made it a wonderful place for visitors to walk. Home to a cluster of shops, café and public house, attractions include Hobby Drive Walk and Clovelly Court Gardens. Knightshayes Court (National Trust), Tiverton (16.5 miles) is a Victorian country house surrounded by acres of glorious gardens and parkland. Dunster Castle, Dunster (17.5 miles) is an ancient castle with dramatic vistas and subtropical gardens, set above the medieval village of Dunster. Dating back over 1,000 years, Dunster Castle is now run by the National Trust as a tourist attraction with events and activities held during the year. Arlington Court and the National Trust Carriage Museum (National Trust), Arlington, near Barnstaple (23 miles). The Regency house holds an impressive collection of horse drawn vehicles and beautiful gardens. Arlington has over 20 miles of footpaths, trailing around lakes and bridges. Broomhill Sculpture Garden, Barnstaple (25.5 miles). Surrounded by woodland and streams, the garden features a number of international and local sculpture projects, as well as an excellent restaurant. Castle Hill Gardens, Filleigh, Torrington (28 miles). Marwood Hill Gardens, Marwood, Barnstaple (28 miles). Tapeley Park Stately Home and Gardens, Westleigh, Bideford (28 miles). RHS Garden Rosemoor, Great Torrington (29 miles). Clovelly Court Gardens, Clovelly (42 miles). Powderham Castle, Kenton, Exeter (45 miles). Hartland Abbey & Gardens, Hartland, Bideford (45 miles). Barrington Court, Ilminster TA19 0NQ (49 miles). North Devon beaches are well known around the world for their clean water, golden sands and excellent waves. All these beaches are located in an Area of Outstanding Natural Beauty and are situated along the South West Coast Path. Instow beach and pretty village (28 miles), home of the Royal North Devon Yacht Club. Tunnels Beach, Ilfracombe (30.5 miles). Saunton Sands (31.5 miles). Saunton is an ideal surfing beach for beginners, providing a more smooth ride. Westward Ho! (32 miles) has a gorgeous beach, which is popular for surfing and swimming. The clean sands are protected by a large pebble ridge and grasslands, which lie within an Area of Outstanding Natural Beauty. Woolacombe (32.5 miles). Putsborough, located in the southern corner of Woolacombe, will tend to have clean surf when nowhere else does, due to the high cliffs protecting it from the gales. Croyde Bay (33 miles) has one of the best beach breaks in the UK and therefore attracts the more experienced surfers. North Devon Hawk Walks, Withypool, Exmoor (4 miles). Quince Honey Farm in South Molton (12.4 miles) is a family run working honey farm with 1,000 hives. Visit the world’s largest Honeybee exhibition; BeeWorld! 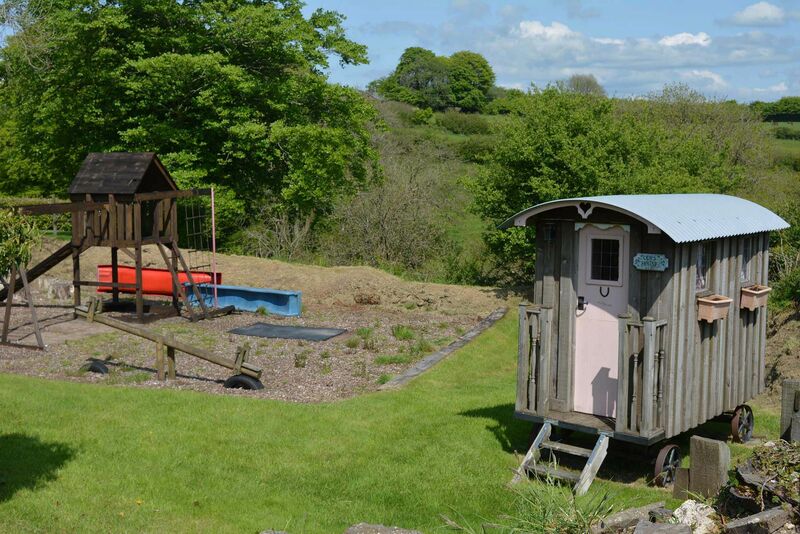 There is a large indoor soft play area, an outdoor play area and a Critter cabin. Cafe and shop, dog friendly. Exmoor Owl and Hawk Centre, West Lynch Farm, Allerford, near Porlock (15.5 miles). Visit the Exmoor Owl & Hawk Centre to see their collection of owls, birds of prey and other friendly animals plus the opportunity to participate in full or half-day bird of prey experiences. Dunster Working Watermill (National Trust), Dunster (17.5 miles), an 18th century mill set in the peaceful surroundings of Dunster Castle. Dunster Castle (National Trust), Dunster (17.5 miles). Exmoor Zoo, Bratton Fleming (18 miles). Cobbaton Combat Collection of military vehicles, Cobbaton, Chittlehampton (20 miles). West Somerset Railway is a 20 mile steam railway running through stunning countryside between Minehead (20 miles) and Bishop’s Lydeard, near Taunton. Somerset and Dorset Railway Trust, near Watchet (22 miles). A charming and atmospheric collection of railway memorabilia and real vintage engines and cars. Tropiquaria Wildlife Park, Watchet (22 miles) – a small tropical house and zoo. Puppet theatre and 2 life-size pirate adventure ships. Also new indoor play castle. The Tarka Trail (22 miles) is the former Barnstaple to Bideford railway line, one of the country’s longest continuous traffic-free walking and cycling paths, and forms part of the Devon Coast to Coast Cycle Route. Providing excellent views of the Taw estuary the route is relatively level. Wildlife & Dinosaur Park, Combe Martin (23 miles). Watermouth Castle and Family Theme Park, Berrynarbor, near Ilfracombe (27 miles). Dartington Crystal, Great Torrington (28 miles). The Big Sheep is an amusement farm park located in Abbotsham, near Bideford (32 miles). The Milky Way Adventure Park, Clovelly (39 miles). Crealy Adventure Park, Sidmouth Road, Exeter (40 miles) – Roller coasters, drop slides and water flumes plus lots more. The surrounding area is perfect for golf, horse riding, watersports, quad biking, fishing and flying, which can all be enjoyed locally. Highbullen Hotel Golf and Country Club, 18 hole pay and play (19 miles). Chulmleigh Golf Course 18 hole par 3, pay and play (20 miles). Libbaton Golf Club, High Bickington, Umberleigh (23 miles). Portmore Golf Park, Barnstaple (21 miles). Horse riding allows you to venture off the conventional footpaths and experience the landscape and scenery like never before. Many of the riding stables in the area offer both coastal and countryside treks, and can cater for all levels of experience. West Anstey Farm Stables, Waddicombe (3.7 miles). Brendon Manor Riding Stables, Brendon Manor Farm, Brendon Manor, Lynton (16 miles). Ideal if you want to go horse riding over Exmoor. Bold Try Riding Stables, Leigh Road, Chulmleigh (20.5 miles). Dean Riding Stables, Lower Dean Farm, Dean, Parracombe (21.5 miles). Ride out on a quiet or adventurous hack around Exmoor. North Devon Equestrian Centre, Shirwell, Barnstaple (27 miles). The majestic lake at Wimbleball Country Park (11 miles) is also a premier trout fishing location, and provides tuition in numerous water sports, including sailing, windsurfing and canoeing. At the reservoir at Wistlandpound (20 miles), there are the opportunities to try sailing, windsurfing and canoeing. Surfside Kayak, Combe Martin, Ilfracombe (25 miles). North Devon Surf School, Westward Ho! (32 miles). Surf South West, Croyde Bay (34 miles). Rock and Rapid Adventures, South Molton (11.4 miles) has the largest indoor climbing wall in North Devon. Exmoor Adventures, Porlock Weir (15.6 miles) provides a range of outdoor activities including coasteering, kayaking, mountain biking, rock climbing, abseiling, canoeing, raft building, archery, hill walking and orienteering activities across North Devon and Somerset. 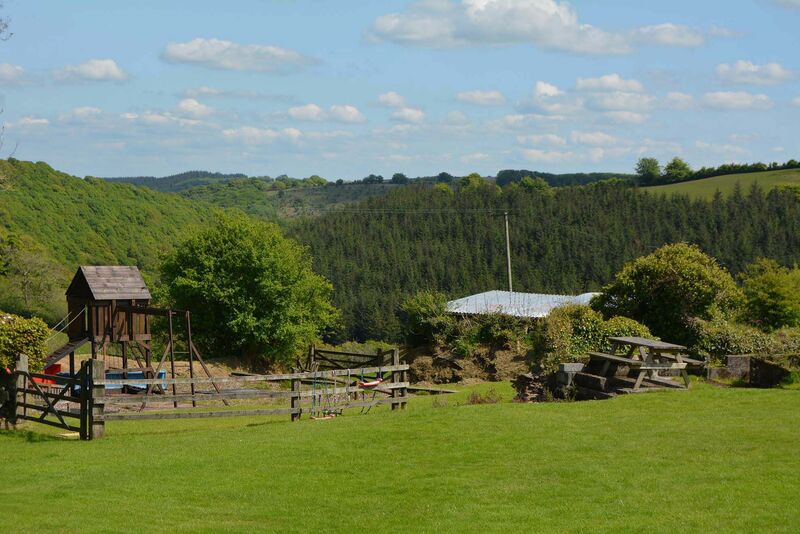 South Down Adventure Ltd, South Down Farm, Umberleigh (26 miles) offers quad biking, zorbing, clay shooting archery or air rifle shooting. North Devon Karting, Barnstaple (24.5 miles). Keypitts Stables ‘n’ Quads, Ilfracombe (28 miles). The Ultimate Adventure Centre, near Bideford (32 miles) offers coasteering, mountain boarding, mountain biking, high ropes, climbing wall, kayaking and surfing. West Somerset Adventures offer a variety of activities and day packages to suit those looking for an alternative Exmoor adventure. West Somerset Adventures is a local company based on the edge of Exmoor. South Molton swimming pool (14 miles). Tiverton swimming pool, Exe Valley Leisure Centre (16 miles). Wivey Pool, The Recreation Ground, Wiveliscombe (18 miles) – outdoor open air swimming pool. Aerosaurus Balloons & Virgin Hot Air Balloon Flights, Tiverton Rugby Club, Tiverton (16 miles). Eaglescott Airfield (26 miles) – light aircraft, microlights, gliding, training, aerobatics and air experience flights. South Molton Bowling Club (12.5 miles) has an outdoor bowling green for the summer and indoor short mat bowling during the winter. Riverton House & Lakes, Coarse Angling Centre, Barnstaple, Swimbridge (17 miles). Bellbrook Valley Trout Fishery, Oakford, Tiverton (10 miles). Experience Exmoor offers a range of outdoor experiences in Exmoor. You can take part in a luxury 4×4 safari, where you can go off road, see the coast or explore Exmoor with a pub lunch to keep your energy levels up. Experience Exmoor also offers sea safaris, clay pigeon shooting and walks. Red Stag Safari offer Safaris on Exmoor in a Land Rover Discovery with a local Somerset guide, see Red Deer on Exmoor and discover its fascinating past. Dunster Castle Express, West Somerset Railway, Minehead (20 miles). Lunchtime Fish and Chip Specials, West Somerset Railway, Minehead (20 miles). Dunster Castle events, Dunster (17.5 miles). Murder Mystery Special, West Somerset Railway, Minehead (20 miles). Events at Arlington Court (National Trust), Arlington, near Barnstaple (23 miles). Cheese & Cider Lunchtime Specials, West Somerset Railway, Minehead (20 miles). Steam & Cream Tea Specials, West Somerset Railway, Minehead (20 miles). Seaweed Festival, Clovelly (41 miles). Ilfracombe Victorian Celebration, Ilfracombe (31 miles). GoldCoast Oceanfest, Croyde (33 miles). Outdoor Theatre, Dunster Castle, Dunster (17.5 miles). Days out with Thomas, West Somerset Railway, Minehead (20 miles). Murder Mystery Specials, West Somerset Railway, Minehead (20 miles). Clovelly Gig Regatta, Clovelly (41 miles). Clovelly Maritime Festival, Clovelly (41 miles). World War I Assault Course, Dunster Castle, Dunster (17.5 miles). Summer events at Dunster Castle, Dunster (17.5 miles). Woolsery Agricultural Show, Clovelly (41 miles). Victorian Explorers with Exmoor Zoo, Dunster Castle, Dunster (17.5 miles). Somersault Festival, Castle Hill Gardens, Filleigh (28 miles). Victorian Falconry, Dunster Castle, Dunster (17.5 miles). North Devon Show, South Molton (12.5 miles). Exmoor Rail, West Somerset Railway, Minehead (20 miles). Clovelly Lifeboat Weekend, Clovelly (41 miles). Civil War Weekend, Dunster Castle, Dunster (17.5 miles). National Sandcastle Competition, Croyde Beach (33 miles). Sea Ilfracombe Festival, Ilfracombe (31 miles). Late Summer Weekend, West Somerset Railway, Minehead (20 miles). Lobster and Crab Feast, Clovelly (41 miles). Events at Dunster Castle, Dunster (17.5 miles). Barnstaple Carnival, Barnstaple (22 miles). The Appledore Book Festival, Appledore (32 miles). Autumn Steam Gala, West Somerset Railway, Minehead (20 miles). Morning Deer Walks, Arlington Court (National Trust), Arlington, near Barnstaple (23 miles). North Devon Foodfest, Barnstaple Pannier Market (22 miles). Spooky Pumpkin Trail, Dunster Castle, Dunster (17.5 miles). After Dark, Dunster Castle, Dunster (17.5 miles). Spooky Night Walk, Arlington Court (National Trust), Arlington, near Barnstaple (23 miles). Steam & Scream, West Somerset Railway, Minehead (20 miles). Christmas Fair Arlington Court (National Trust), Arlington, near Barnstaple (23 miles). Clovelly Herring Festival, Clovelly (41 miles). Minehead Station Christmas Market (20 miles). Dunster by Candlelight, West Somerset Railway, Minehead (20 miles). Santa Express Specials, West Somerset Railway, Minehead (20 miles). Sherry & Mince Pie Specials, West Somerset Railway, Minehead (20 miles). Christmas through the ages and illuminated trail, Dunster Castle, Dunster (17.5 miles). Christmas Lights, Clovelly (41 miles). Father Christmas, Arlington Court (National Trust), Arlington, near Barnstaple (23 miles). Carol Trains, West Somerset Railway, Minehead (20 miles). Winter Steam Festival, West Somerset Railway, Minehead (20 miles). Minimum stay 2 nights in off peak periods. Minimum stay 7 nights Friday to Friday during Summer High season.